Barbizon Lighting Company Blog: My Dimming System Has Taken On Water: Now What?!?! My Dimming System Has Taken On Water: Now What?!?! We've already been fielding a lot of calls in our Texas offices and calls have even begun to come in from Florida customers about what to do when your dimming system has taken on water. We were in the process of writing a post when we noticed our friends over at ETC beat us to it! We've re-posted the entire article below from the ETC Blog. Here is the original link. My ETC system has taken on water. As life begins to get back to normal in the areas hit by Hurricane Harvey and the flooding that followed, we know that our customers will be returning to the theaters, schools, community centers and houses of worship where you rely on our equipment. We understand that this can be a difficult, stressful, and emotional period of time, so this blog post will hopefully answer some of the questions you may have about where to go and what to do to get your lighting and rigging systems up and running safely again. 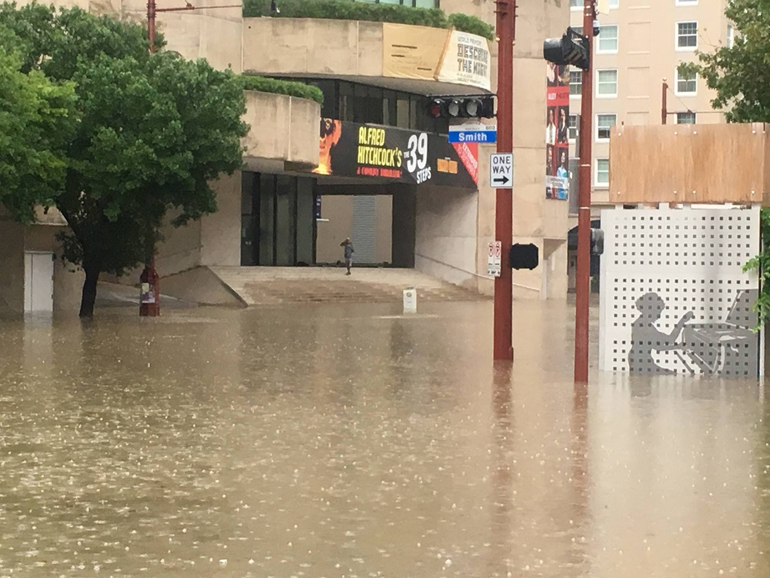 Left: The Neuhaus Theatre in the Alley Theatre, Houston, TX, before Hurricane Harvey. Right: The Neuhaus Theatre after the hurricane. Your safety is our biggest concern. Before doing anything else, we recommend turning off the power to the equipment in question. Energized equipment that has had water ingress poses a serious electrical risk to anyone using or servicing it. The next step is to contact your insurance company to inform them of the damage, and they will assist you in getting equipment inspected and repaired or replaced. If you’re unsure about the extent of the damage, you can contact your ETC dealer to help assess the situation. If you don’t have a regular dealer, you can find one in your area on the ETC website. Left: The lobby of the Neuhaus Theatre before Hurricane Harvey. Right: The lobby after the hurricane. Our experience has shown that equipment that has incurred water intrusion may not be recoverable in a way that guarantees future reliability of the system. Water carries large amounts of contaminants, and when combined with the harsh cleaning products typically used for this type of cleanup, it can lead to more product failures than solutions. Just a small amount of dirty water can cause corrosion to the small components, so while a device may not display immediate failures, it could fail within weeks or months. In general, we recommend that all control electronics, fans, dimmer modules, and network equipment be replaced if it has been wet. Dimmer/relay racks may be rebuilt if they’re in reasonable shape, but you might find that the repair quote exceeds the cost of replacement. We recommend getting conduits and power feeds assessed if they’ve also been under water, including a consultation from an electrical contractor or inspector. As always, our 24/7/365 Technical Services department is available if you have any questions throughout this process. You can find the contact information for your closest ETC Tech Services staff on our website. We’ll continue to send our thoughts to the people affected by Hurricane Harvey, as well as our hope for a fast and smooth recovery and rebuilding process. 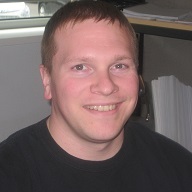 Chris Blad works as a technical support specialist at ETC’s headquarters in Middleton. Chris holds an MFA in scenic technology from the University of Illinois at Urbana-Champaign. Before coming to ETC, Chris worked as a production and facilities director at the Sharon Lynne Wilson Center for the Arts in the Milwaukee, Wisconsin area.